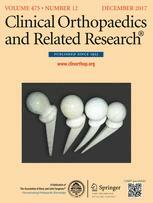 Surgery for fixation of olecranon fractures is associated with reoperation, mostly for implant removal. 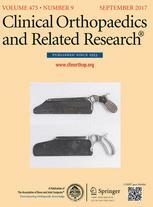 A study of a large cohort of patients treated by many different surgeons allows us to determine if specific techniques or implants are associated with a higher rate of reoperation. 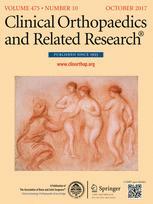 After open reduction and internal fixation of isolated olecranon fractures, what factors are associated with (1) reoperation and (2) implant removal? 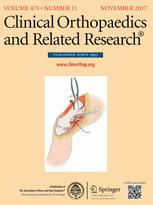 Three hundred ninety-two adult patients who had operative treatment of a displaced olecranon fracture not associated with other fractures, dislocation, or subluxation at two area hospitals between January 2002 and May 2014 were analyzed to determine factors associated with reoperation. One hundred thirty-eight (35%) patients had plate and screw fixation and 254 (65%) tension band wiring. Nearly 100% of patients with displaced olecranon fractures are currently treated operatively at our hospitals. All patients were followed for at least four months. Two hundred three of the 392 (52%) patients were followed for one year or more. Ninety-nine patients (25%) had a second operation, 92 (93%) at least in part for implant removal (12 for wire migration [3% of all fractures, 12% of reoperations]). We considered patient-related, fracture-related, and implant-related endpoints as possible factors associated with reoperation. With a total sample size of 99 reoperations, an α of 0.05, and an effect size of 0.3, we had 87% power. Reoperation was less common in men (36 [36%], women: 63 [64%]; adjusted odds ratio, 0.32; 95% confidence interval, 0.18–0.56; p < 0.001) and older patients (adjusted odds ratio, 0.75; 95% confidence interval, 0.65–0.87; p < 0.001). Similarly, request for implant removal was less in men (33 [36%], women: 59 [64%], adjusted odds ratio, 0.31; 95% confidence interval, 0.18–0.56; p < 0.001) and older patients (adjusted odds ratio, 0.75; 95% confidence interval, 0.65–0.87; p < 0.001). 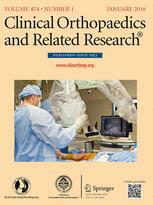 Patients who have operative fixation of a fracture of the olecranon can be counseled that most patients keep their implants, that only 3% experience implant migration, and that technical factors such as the type or configuration of an implant seem less important than personal factors in determining who requests a second surgery for implant removal.